The children were asked to give up something to help raise money for CAFOD. The money will be used to buy food, vegetables to plant and community toilets. The children were very generous, giving up toys, books and games. Some classes made gifts to sell. During Lent 2017 the children have helped raise money to support CAFOD's project to turn little fish into big fish. They held a mini fair with ideas linked to fish with children making items to sell and running games. Some of the children made fish shapes out of the money raised. The children were invited to decorate an egg thinking of ideas linked to the 'fishy theme' and the ideas were amazing. The money raised will help fund fish farms in Zambia. This charity consists of a small group of people supporting 12 children and their families in rural Kenya. They are subsistence farmers living mainly in a village community. They often struggle to afford the most basic goods, services and health care. One of the family trained as a Catholic priest and is a member of the Comboni Missionaries. 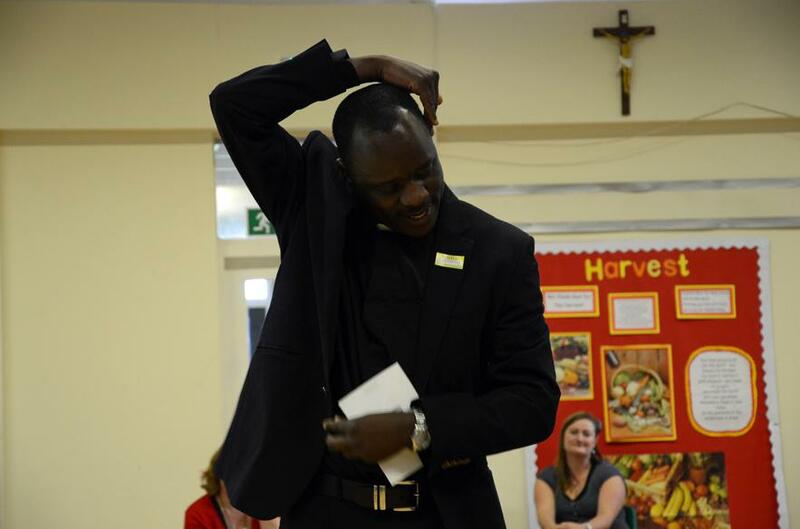 His name is Father Clement Orang’o and he is currently serving as parish priest in two parishes in Lincolnshire. The aims of Kenya Outreach are: To provide the children with a good education so enabling them to reach their full potential; To help their families access basic goods, services and healthcare. Since 2005, the group have been supporting up to 12 children in primary and secondary schools through regular donations. Some of the children are proving to be very clever. One is already studying Mass Communications at university and hopes to become a journalist. Another wants to be a doctor and a third child is considering a vocation to the priesthood. Kenya Outreach is fundraising to meet the additional costs involved in vocational training and higher education and to continue our school and family support. Some of them can be seen in the photos below. St Francis Xavier’s School is supporting the work of Kenya Outreach by praying and fundraising for the charity. Father Clement visited our school to talk to the children about Kenya. Many of the children do not know when they were born so in order to tell whether they are old enough to go to school, they have to be able to touch their ear as Father Clement is demonstrating in the photograph. Our school supports the hungry by collecting items of food for the local Food Bank. 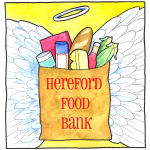 All donations of food (tins, pasta, dried food) welcome - please place items in the collection box in the school hall. Thank you. CAFOD is the official Catholic aid agency for England and Wales. It helps poor people to earn a living, increases access to clean water, education and much more. For further details go to the CAFOD website.